This is the nicest place downtown, which normally would not be saying much, but whoa! 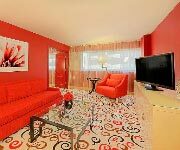 The rooms in the Downtown Grand Las Vegas have all been completely redecorated to provide a modern comfortable feel. All beds in every room come with pillow top mattresses so you can unwind after all the excitement of the day. 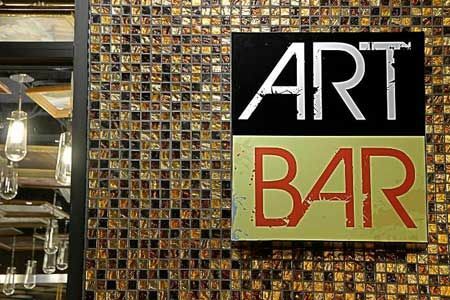 There are some rooms located close to the street so you if you don’t plan on partying all night, ask the front desk for a quieter room and they will be more than happy to accommodate. 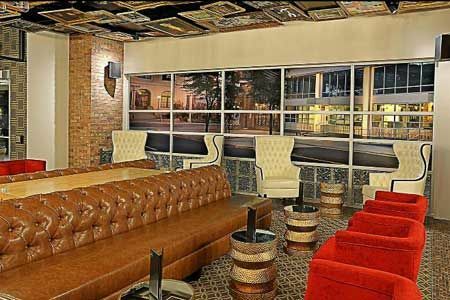 So if you are keeping an eye on the bottom line, but still want to have fun the Downtown Grand Las Vegas modern rooms will have you and your wallet happy for your whole Downtown Vegas experience. The service at Downtown Grand Las Vegas is excellent. 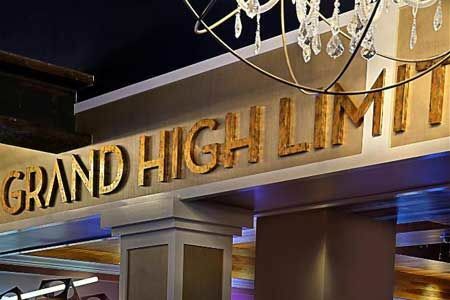 This is one of the newest hotels in downtown Las Vegas, and they are trying to help you remember why you stayed with them by accommodating every request you can imagine. If it's a busy weekend, the wait can be long for check-out or the free valet, but you will be greeted with a smile either way. Shampoo, conditioner and lotion, possibly more are all complimentary from the company ‘Bee Kind’, products made with real honey that smell amazing. Some showers have a strange half glass pane, that make it appear that the bathroom will flood, but have no fear your bathmat just might get a little wet. 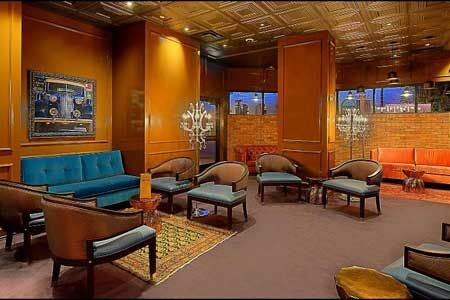 Mostly young working class, but really anyone that stays in downtown is looking for some cheaper rooms with some style. 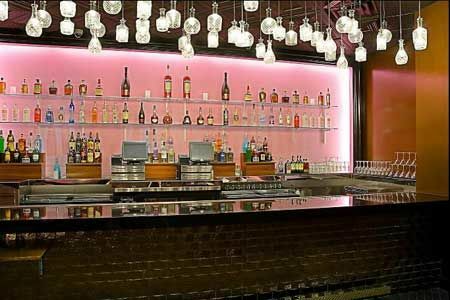 The pool at the Downtown Grand Las Vegas is elegant and fun with great bar options. There is actually a TV channel that will show you a view of the pool and all the activity that is going on there too. $11 per night is cheaper than most and you get high-speed Internet, fitness center access, and more. 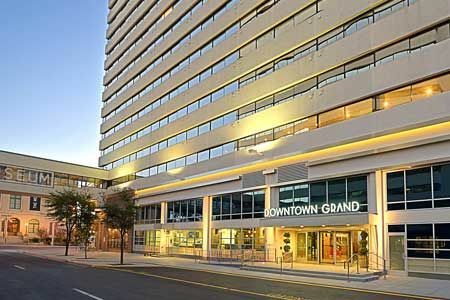 Downtown Grand Las Vegas is right in the middle of modern and affordable and with their location so close to Fremont street it is a bargain. 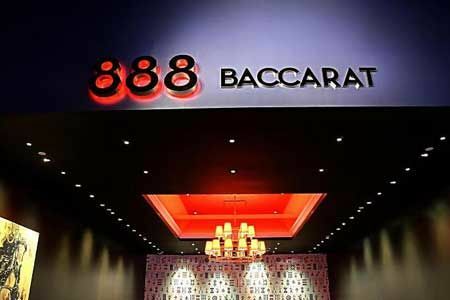 Offering nearly 30 tables including a Baccarat pit, Blackjack, Craps, Roulette, Baccarat, Pai Gow Poker, 3-Card Poker, Big 6 and more! $5 (during the day) to $25 most of the time for tables and it is the only place in Vegas to offer single deck games that pay 3-2 on blackjack. 4 large flat screen TVs that can be split to 12 games. 12 seats and a few more if you count the ones in The Spread, the deli next door. 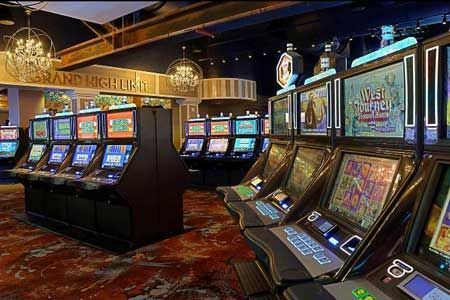 Has a walk-up window accessible from the outdoor gaming area. If you are playing and playing to win you will not have to worry about the wait staff getting you some free drinks. Yes, a 24/7 traditional 1930's New York style deli full of freshly carved sandwiches and tasty treats. This is a small, decent book if you need to make some bets, but it will quickly become too small if you plan on bringing a large group. Offering one King or two queen beds with pillow top mattresses this luxurious and comfortable 350 square-foot room is the epitome of style on a budget. 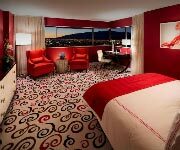 Upgrade to the 450 square foot room with either one King or two queen pillow top beds and you can usually enjoy a corner room with views of the city or mountains. The One bedroom suite features a king pillow top bed in a separate sleeping area and a living comfortable living for entertaining guest.